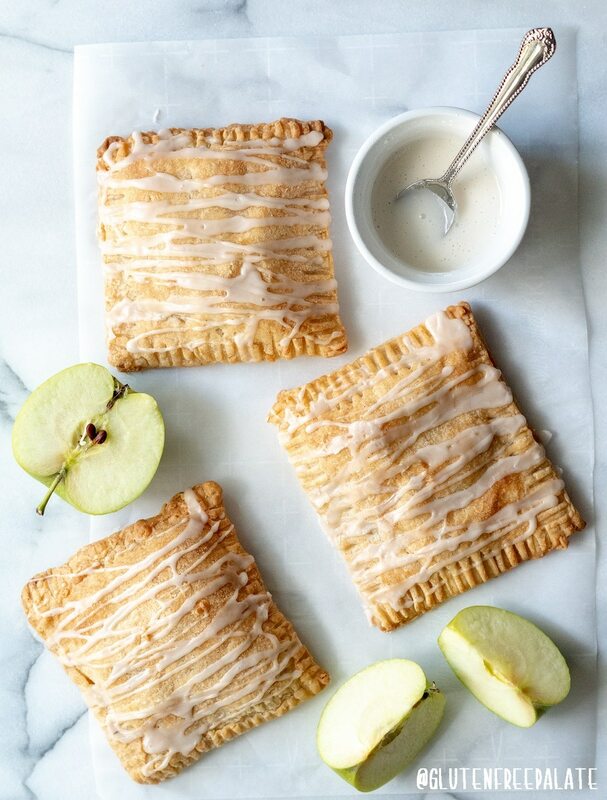 Easy Gluten-Free Apple Turnovers made with a flaky pastry dough, filled with apples and spices, and topped with a sweet glaze. This recipe is sponsored by Schar. Opinions are my own. We love their products and enjoy them regularly. There is currently a debate going on in my house: which is more of a fall flavor, apple or pumpkin? 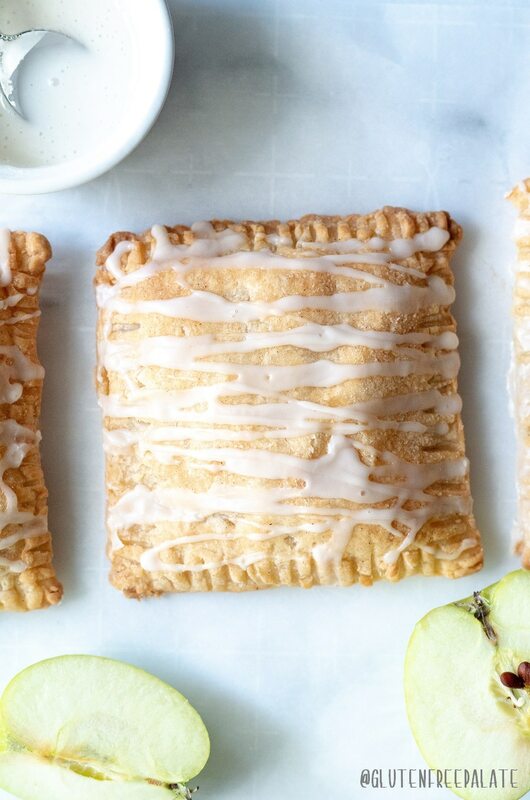 These gluten-free apple turnovers scream fall. At least, that’s my opinion. But I also love a good pumpkin dessert like an ooey-gooey gluten-free pumpkin chocolate chip skillet cookie, and sipping on a homemade pumpkin spice latte. The house is divided so we decided that both apple and pumpkin are fall flavors and depending on what kind of gluten-free desserts you like, you can enjoy both so we are planning on making both apple and pumpkin desserts this holiday season. What other apples can I use in turnovers? Just make sure you are using a tart apple and not a sweet one like a Fuji so that your filling isn’t too sweet. What is the best way to seal pastry dough edges? It’s up to what works best for you. I like to dip a salad fork into melted butter or oil and press down on the pastry dough edge, then pull the fork, towards me (this helps prevent sticking). You can also use your fingers to press the dough together. Can I use other fruit in turnovers? Yes, you can use any berry or stone fruit in turnovers and get good results. Some of my favorites besides apples are cherries, strawberries, and peaches. Now you have me craving turnovers! 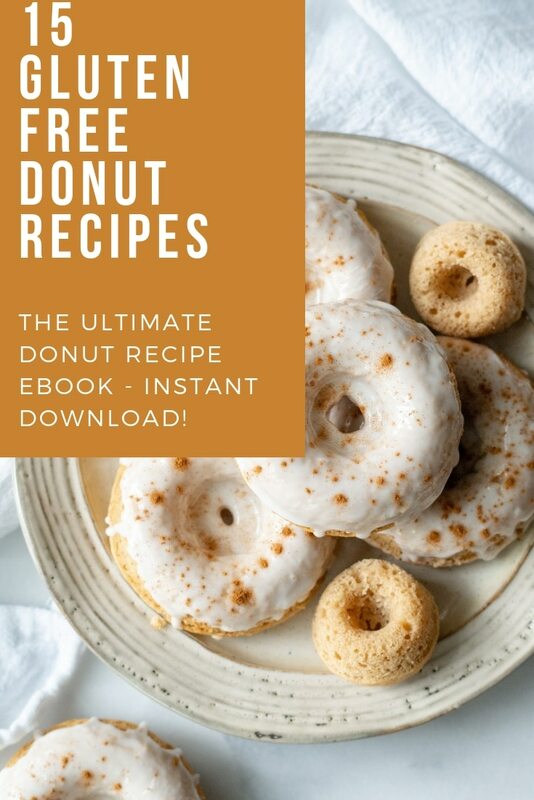 Can I used canned apple filling in this recipe? You can but there are some things to keep in mind. Canned apple filling has other ingredients in it, so check the labels and make sure there are no glutinous ingredients (like wheat flour) included. 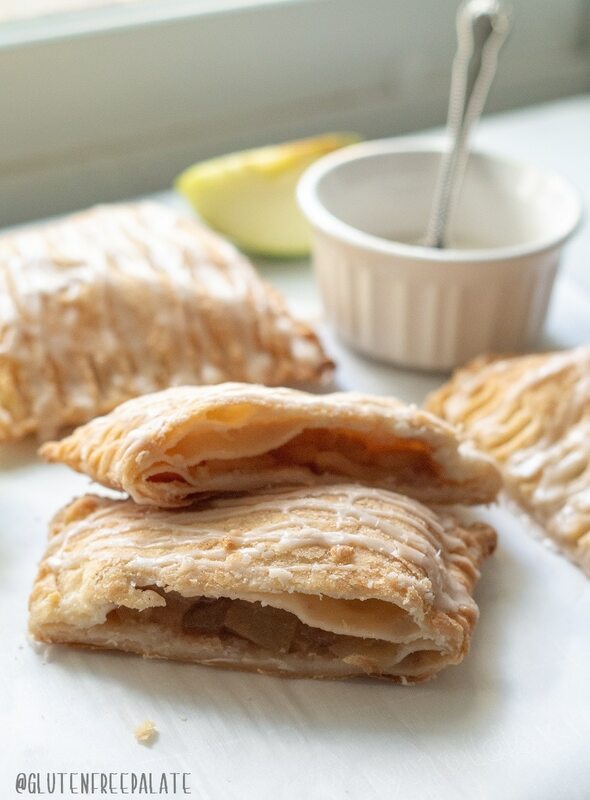 If you find a gluten-free apple filling please note that the apples are already cooked so they may be on the soft or mushy side if you use premade filling in this gluten-free apple turnover recipe. 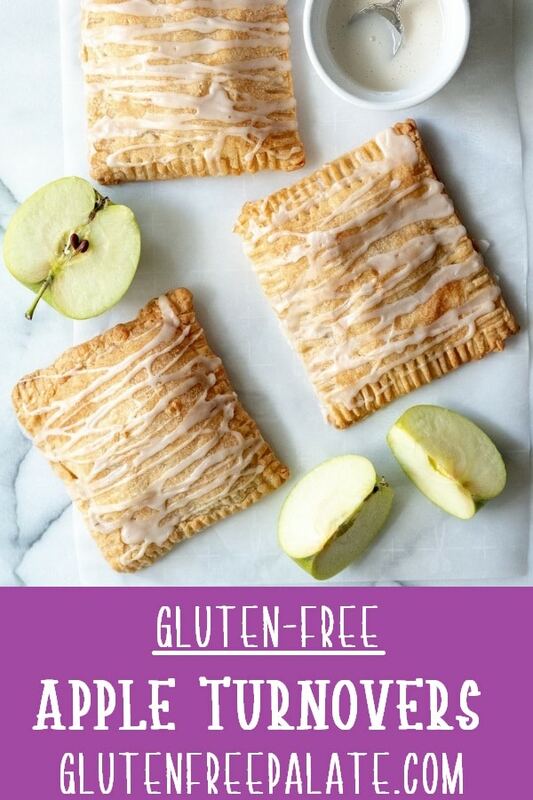 These gluten-free apple turnovers are two servings each. 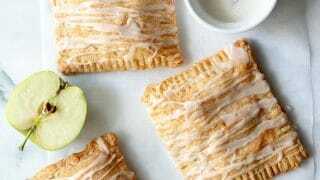 You can make smaller apple turnovers, also called gluten-free apple hand pies, or you can cut them into triangles. I like to make the big ones so I can stuff more apple filling in the center. If you make smaller gluten-free apple hand pies, or go the triangle route, you’ll want to adjust how much filling you put in the center. The most important thing is to seal the edges so your filling doesn’t run out onto the pan and burn. A little apple juice on the pan is fine, you just don’t want it all to leak out. If you like apple baked goods you might also like my Gluten-Free Apple Spice Muffins. My Gluten-Free Apple Cinnamon Pancakes are also super easy to make and bursting with fall flavors. Gluten Free On A Shoestring has a yummy recipe for Gluten-Free Apple Crumble, if you are interested. 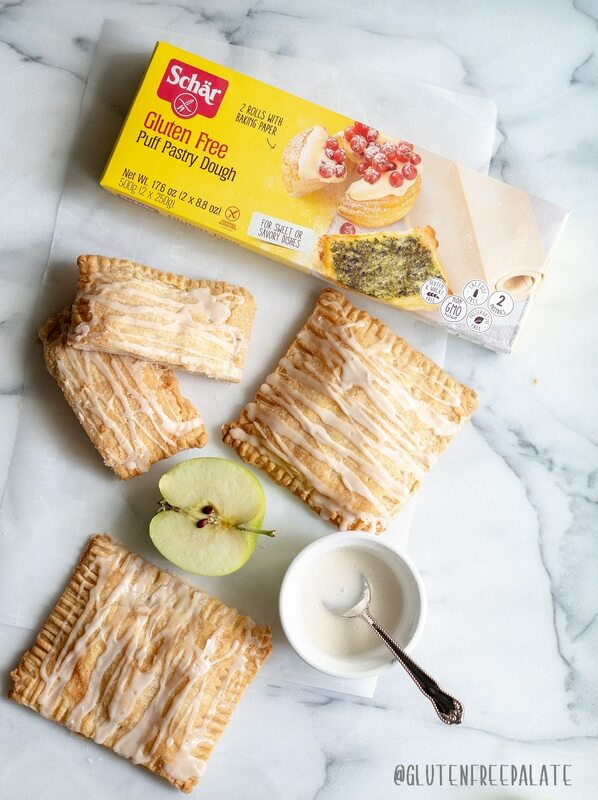 If you make these gluten-free apple turnovers please stop by and let me know what you thought of the Schar puff pastry dough! 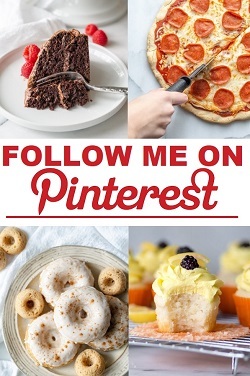 Also, if you have any questions about this recipe please leave a comment and I will get back to you. Pre-heat oven to 400°. Line a baking sheet with parchment paper; set aside. In a large mixing bowl, combine sugar, gluten-free flour and cinnamon; add in the chopped apples and toss until evenly coated. On countertop, or piece of parchment, roll out each pastry sheet. Cut each sheet into four squares. Repeat with all 4 sheets of pastry dough. You should end with 16 squares. Lay out 8 pastry squares. Scoop 1/3 cup of apple filling into the center of each one. Place a pastry square on top of the filling and press the edges to seal it. Repeat until all 8 are sealed. Place the turnovers on a parchment paper-lined baking sheet and bake for 22-26 minutes or until they are golden brown and puffy. For the glaze, in a small mixing bowl combine the powdered sugar, vanilla, and milk. Glaze will be thick. Add more powdered sugar for a thicker glaze, or more milk for a thinner glaze. Drizzle glaze over each turnover. Serve warm or store in an airtight container at room temperature for up to 3 days. These look beautiful! I was so excited to find the Schar pastery dough locally, but I’m having a hard time using it. The flavor is good and I love the convenience, but If I thaw it on the counter, it cracks horribly when I unroll it. If I use a rolling pin to put it back together, I get no rise at all and no layers. If I defrost it in the microwave it does better unrolling, but still very little rise. Any tips? Thanks! I’m sorry to hear that you are struggling with the Schar pastry dough. Next time try thawing it in the refrigerator or for a couple minutes in the microwave on the defrost cycle. I find it works best when still cold. I live in California. Where did you find the puff pastry? The Schar puff pasty is the only one that I recommend at this point. The others I’ve tried just aren’t really working. Schar is launching their puff pastry nation wide this holiday season. The best thing to do is to check their product locator on their website. I hope that helps! I’m glad I saw this recipe. I saw the Schar puff pastry at my local Safeway recently but didn’t know what I would do with it. Now I do. I can’t wait to try these turnovers. So glad you found it! You can also make pot pie with it 🙂 I hope you like it! i have tried to find this puff pastry but haven’t been able to locate it anywhere, even online. Schar has a store locator. Have you tried that yet? Yes, you can make meat pies with it.